Anyone building or buying a Glastar or Sportsman needs to train with Alan Negrin. As a Sportsman builder/owner himself and former Glasair employee, Alan is the most experienced type specific CFI anywhere. After completing the “two weeks to taxi” program, I scheduled several hours of transition training with Alan in his immaculate Sportsman, N2CQ. I couldn’t have hoped for a more patient and helpful instructor. Every hour spent working with Alan made me more confident in my developing skills, and more excited about flying my own Sportsman. 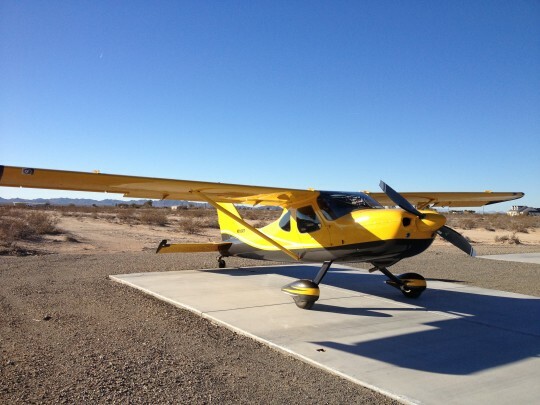 Of course, I hired Alan to do the first flight of my Sportsman, N513RT. Alan has probably logged more Sportsman first flights than anyone. Experience counts when your baby is taking to the sky for the first time. Everything went well on the first flight, and I had Alan put the first ten hours on the plane as we worked through the few predictable glitches that popped up. There’s no thrill quite like the one you experience when you first solo your own Sportsman. I’m grateful I had Alan Negrin’s professional help to prepare me for that memorable event.